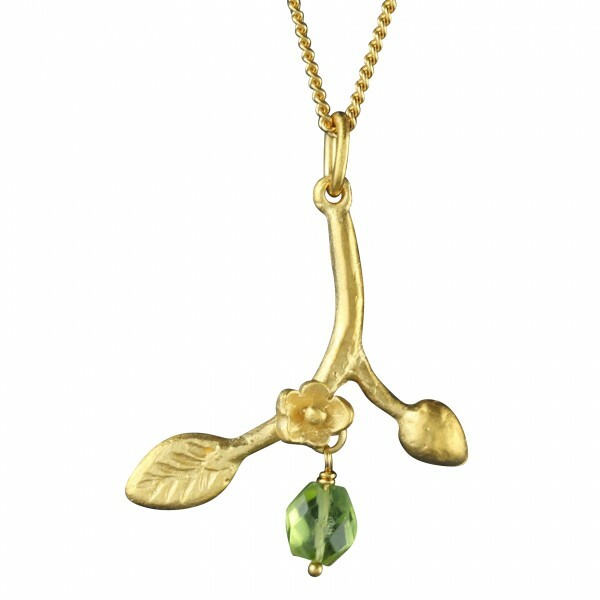 Elegant branch, leaf and blossom pendant in 22ct satin yellow goldplate (3 microns, a good layer) on silver with an irregular faceted peridot bead. 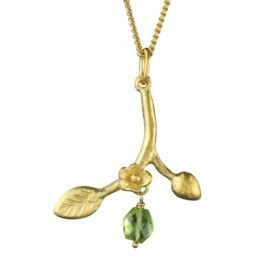 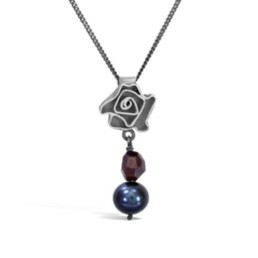 The length including the bead is 28mm and from tip of leaf to the tip of the bud is 23mm, the chain is a medium thickness curb and is 45cm (18″) in length, adjustment to 16″. 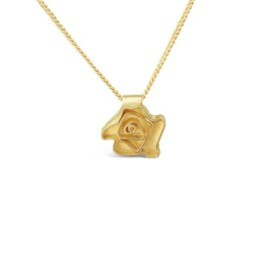 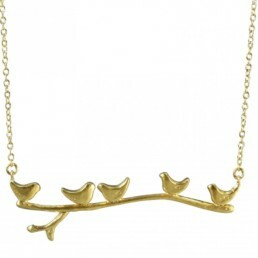 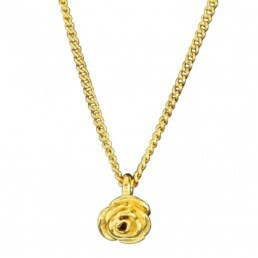 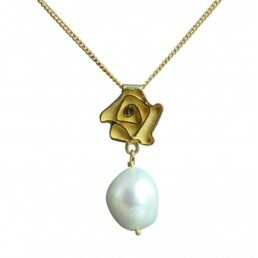 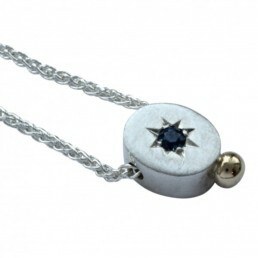 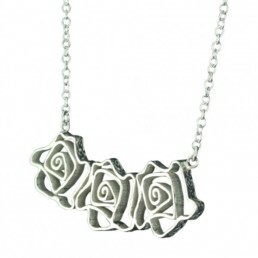 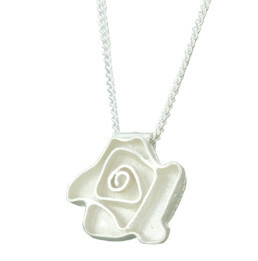 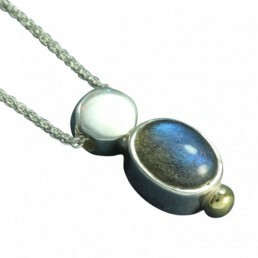 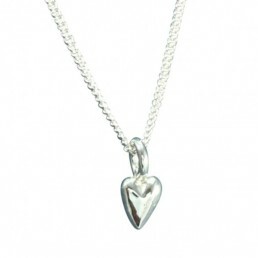 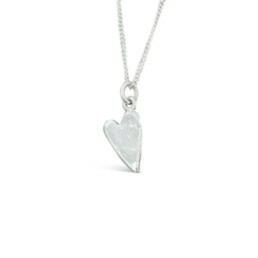 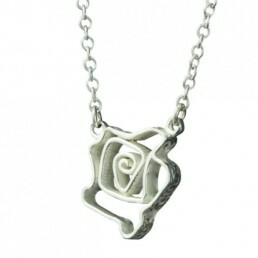 The pendant is available in 9ct yellow gold, please enquire for details.